By now, we are well versed with the fact that the months of January and February are the rainiest winter months for the northern plains of the country. Going by that, January has been witnessing series of Western Disturbances, which has been giving widespread rain and snow over the hills. Now again, an active Western Disturbance is all set to give widespread rain and snow by the later part of Sunday, i.e. January 20 onward. This weather system would induce a Cyclonic Circulation over Rajasthan. Both the systems would move in tandem to give heavy to very heavy rain and snow over the hills, while moderate to few heavy rainy spells likely over the northwestern plains of the country. Rain belt would also cover parts of eastern states and Central India. As per the records, the winter rains have not shown up in the first half of January over the northwestern plains. With rains been far and few, rainfall deficiency for the region crossed the mark of 80%. Not only this, the states of Bihar, Jharkhand and Chhattisgarh have been witnessing 100% deficiency with zero precipitation till date. As per Skymet Weather, it can be foreseen that the last ten days of the month of January seem to be productive in terms of rain initiating January 20 onward. 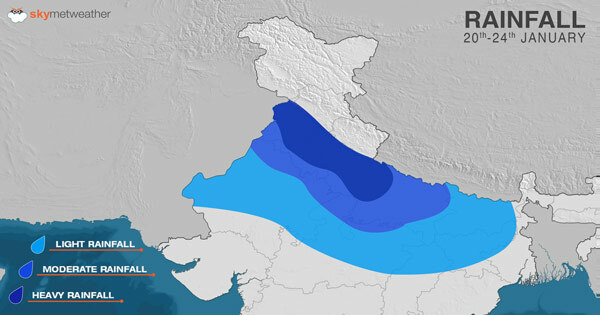 The rains would touch the parts of North India around January 20, and by January 22 the intensity would increase. Gradually, the system will shift towards east and cover the parts of Bihar, Jharkhand, parts of West Bengal and Chhattisgarh. Around January 24, or let’s say beyond January 23, Madhya Pradesh and parts of Maharashtra too would witness rains. 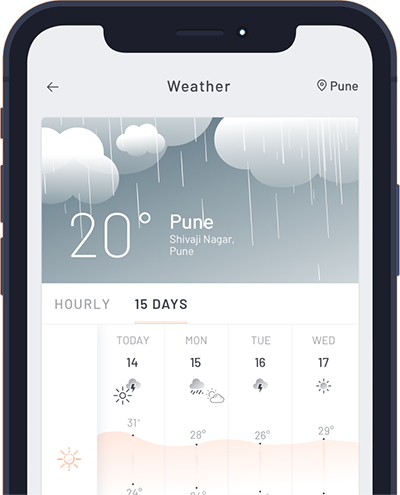 It is expected that most places will possibly achieve their monthly average rainfall status in the northern plains of Punjab, Haryana, Delhi, Uttar Pradesh and North Rajasthan. The remaining days of January will go for wet spell and this could also be the rainiest spell for this winter season. 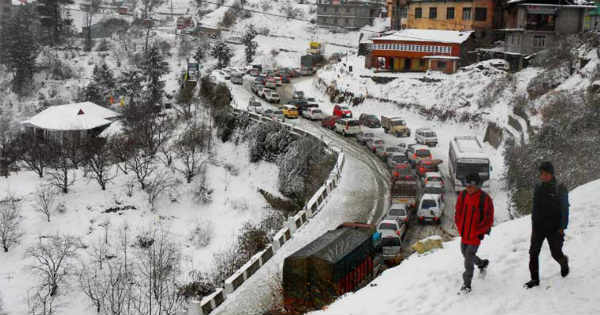 The existing Western Disturbance will start giving little rain and snow over the hills and would continue up till January 19. After a very short break, by the later part of the day of January 20, continuous rains would be witnessed over the hills and plains of the North. Till date, we haven’t seen a blanket of dense to very dense fog covering the plains of North. Post these rains, the foggy conditions are likely to make a comeback. Places like Jaipur, Lucknow are yet to see dense fog. The after effects of rain could trigger the fog conditions.